Aldridge, Walter Lewis, 94, Dec. 24, 1920 - Jan. 12, 2015. Walter Aldridge died peacefully in his sleep at his home in Milwaukie, of natural causes. Born in Portland, Walter was 94 years old. 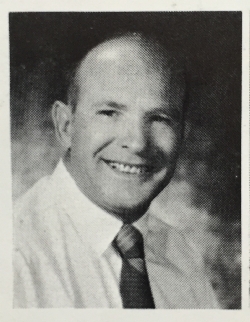 Walt was a math teacher and coach at Washington High School from 1959 to 1978. He was loved by students and faculty and was a consistent attendee at the Annual WaHi All Class Alumni Picnic. Walter was preceded in death by their youngest daughter Laura Beth, in 2002. They are survived by their daughters Irene, Rhonda and Mary Ann; 13 grandchildren; and 13 great-grandchildren.